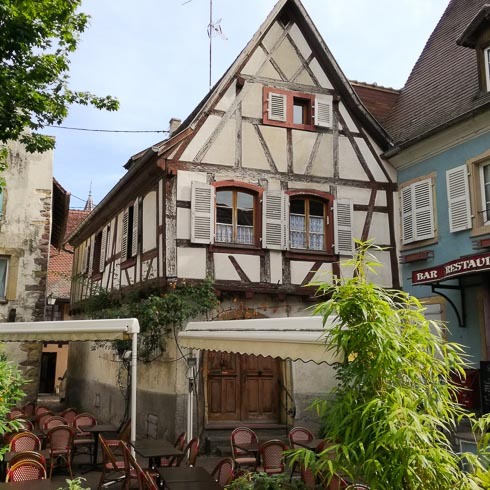 Your guides will greet you at the Mulhouse train station and transfer you to the beautiful village of Eguisheim, birthplace of Alsatian wine growing. At a 17th-century wine merchant’s domain, we share a picnic with the owner and raise a glass of sparkling Crément to toast the amazing week ahead. 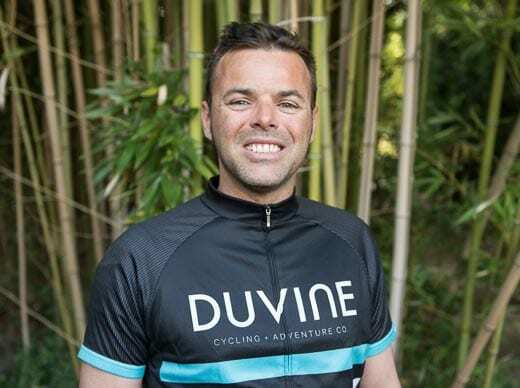 After a stroll through streets lined with half-timbered houses and perfectly manicured flower boxes, we’ll fit you to your bike and set off through the countryside. Ride all the way to our hotel where you can either unwind by the pool or get a rejuvenating massage. Tonight we’ll dine at the refined hotel restaurant, Le Jardin les Violettes. 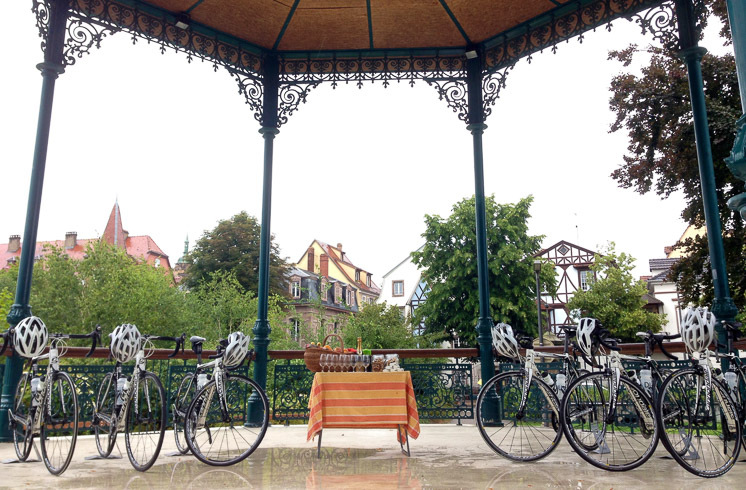 Start the day cycling through vineyards and charming towns like Orschwihr, Bergholtzzell, and Soultzmatt. 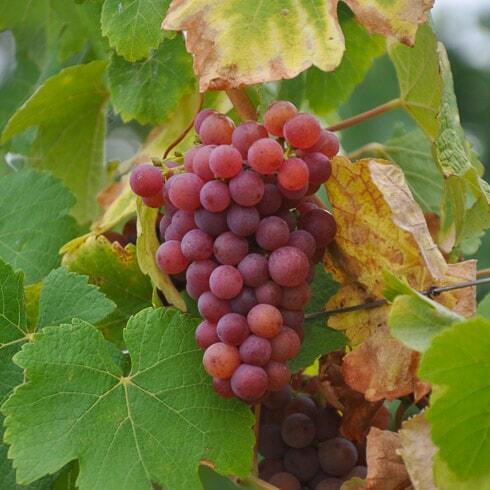 As revealed in a morning tasting, the word terroir will take on new meaning thanks to its prominent influence on today’s wines. Lunch with the locals in Soultzmatt will be followed by a climb into the wooded foothills of the Vosges. After an exhilarating descent, our final miles will wind around the base of the foothills until we reach our next destination, Le Chambard in Kaysersberg. 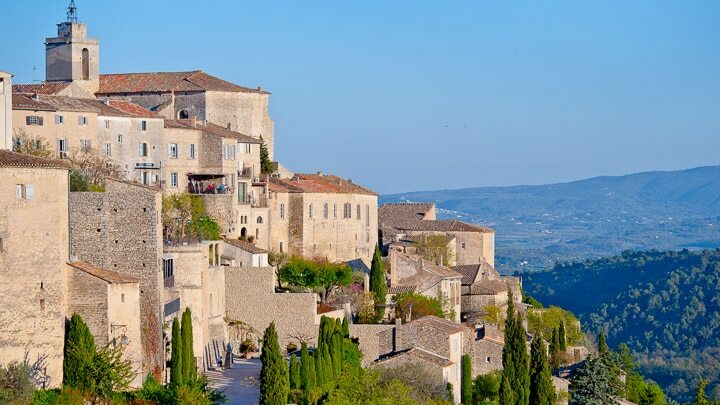 Take a swim, stroll the town, or enjoy the view from atop the fortress, and prepare for a Michelin-starred feast from Olivier Nasti at 64 Le Restaurant. A picturesque morning ride through pine forests brings us to the hilltop town of Les Trois-Épis. On our way, we visit a famous Munster cheese factory to learn how this AOC-protected product is made. Lunch will provide a further taste of local ingredients before we stretch our legs on a pleasant hike in the Orbey valley. 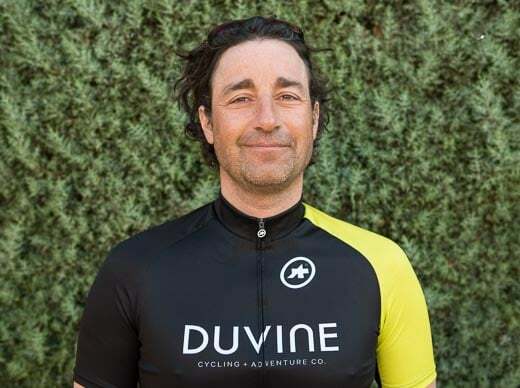 Then it’s back to our bikes for a long downhill to the town of Ammerschwir, where we visit a vineyard and taste some of the area’s finest Gewürztraminers. 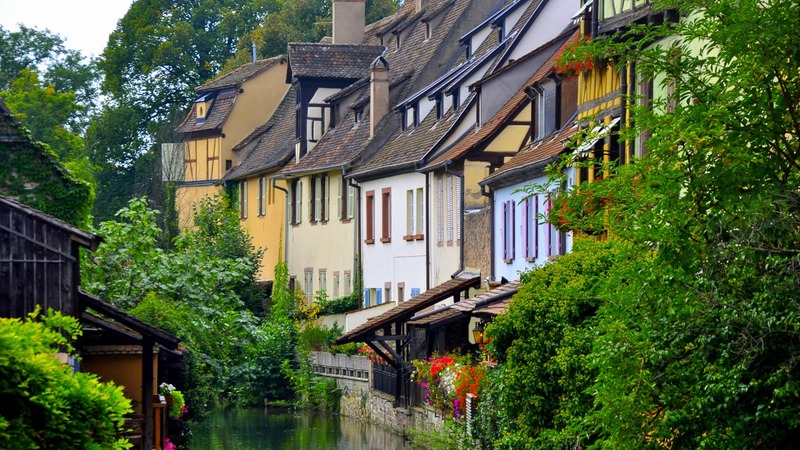 The afternoon and evening are yours to relax at Le Chambard or venture into Colmar for shopping and dinner in this historic town, named a UNESCO World Heritage site for its numerous architectural masterpieces. 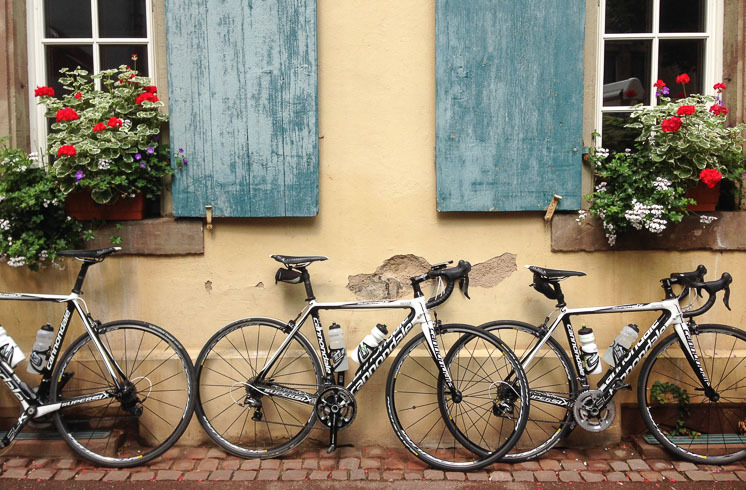 Departing from Le Chambard, cycle through grand cru vineyards on quiet roads, passing the picturesque villages of Riquewihr and Hunawihr. 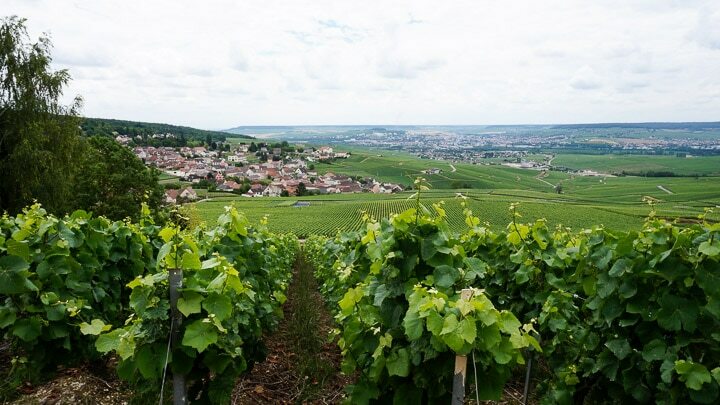 We’ll fortify ourselves in the wine center of Ribeauvillé, munching on a freshly baked bretzel accompanied by a glass of Sylvaner. Continue on pastoral roads that open to breathtaking views and quaint village vignettes. We end our ride at the iconic Château du Haut-Koenigsbourg, where a panorama of the plains below will leave us speechless. Another invigorating downhill leads us to the village of Rorschwhir for an amazing wine tasting. From there, hop in the van for a transfer to Ottrott. Get settled at the hotel before dinner in a winstub (local restaurant), tasting regional dishes such as Choucroute Garnie. Say goodbye to the countryside today. We’ll enjoy a gentle ride across the Rhine Valley before entering the heart of Europe: Strasbourg. Home of the European Parliament, birthplace of La Marseillaise (France’s national anthem), and a 2,000-year-old crossroads of culture, Strasbourg will open its arms to us. 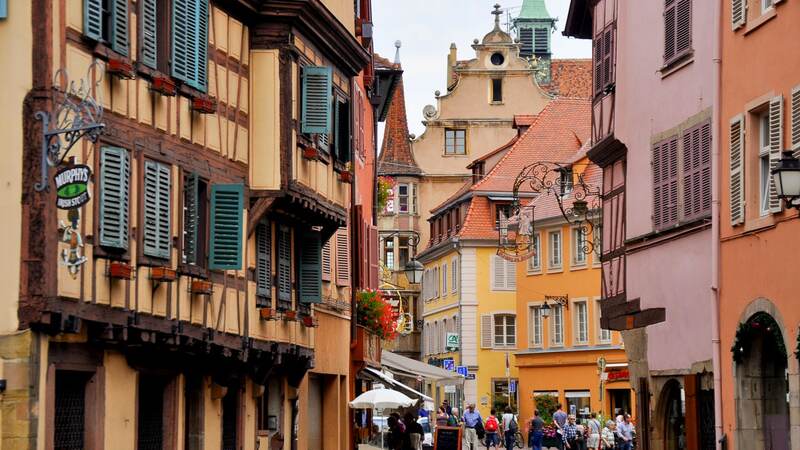 Gaze at a Raphael or Botticelli at the Musée des Beaux Arts or settle into a café in the shadow of Strasbourg’s majestic cathedral for a few hours before we gather for one last amazing feast of comforting Alsatian cuisine. Stroll the streets of medieval Strasbourg at sunup watching statues emerge from the shadows, or awaken later for an unhurried breakfast. Your guides will see you off at the Strasbourg train station.